Rotator cuff injuries are most common in those who repeatedly make overhead motions as part of their jobs. For example, painters, carpenters, deliverymen, utility repair people, baggage handlers, laborers, and professional athletes in Boston may suffer rotator cuff injuries on the job. The rotator cuff is a group of tendons and muscles that surround the shoulder joint and cover the arm bone so that it stays within the shoulder socket. Rotator cuff injuries trigger an ache in the shoulder that may worsen when the afflicted person tries to sleep on the side that's injured. Tendonitis is more likely with age, but it can worsen in a younger person who has sudden slips, reaches overhead a lot, chops wood, lifts boxes or slouches in a sedentary office job. If you suffer a rotator cuff injury or other type of work injury, the attorneys of Pulgini & Norton may be able to help you recover Massachusetts workers' compensation benefits. Many rotator cuff injuries or tears heal on their own with time, so long as the joint is rested. In some cases, the shoulder may need to be iced and you may need to perform range-of motion exercises. However, some rotator cuff injuries require surgery, such as shoulder arthroscopy, which is an outpatient procedure. The Department of Industrial Accidents (DIA) oversees the Workers' Compensation system and administers benefits to workers whose injuries stop them from returning to work. Among the benefits you can obtain for minor rotator cuff injuries include temporary total incapacity benefits, partial incapacity benefits, permanent and total incapacity benefits, medical benefits, and permanent loss of function benefits. Temporary total incapacity benefits are often awarded for rotator cuff injuries. They may be awarded if you aren't able to work for 6 or more full or partial calendar days, considering your age, experience and training. The amount of temporary total incapacity benefits you can be awarded is 60% of your gross average weekly wage. You can come up with an estimate by looking at your actual gross earnings for the past year, including bonuses and overtime, and divide the figure by the number of weeks you worked at your current job. The result of this computation gives you your average weekly wage and your temporary total incapacity benefits will be 60% of that. Every year the Massachusetts Division of Unemployment sets the State's Average Weekly Wage, which is the most you can receive for your rotator cuff injuries. You can receive temporary total incapacity benefits for up to 156 weeks. You can be compensated starting the sixth day of incapacity, but you won't be compensated for the first five days unless you're disabled for 21 or more calendar days. 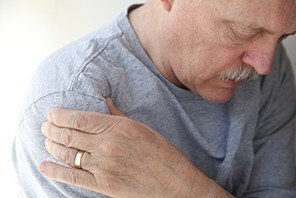 For more serious and long-lasting rotator cuff injuries, you may be eligible for additional benefits, such as prescription medication, medical treatment including the cost of surgery, vocational rehabilitation costs, mileage for medical care, partial disability benefits and annual cost of living increases. If you suffer rotator cuff injuries in your Boston workplace, it is important to retain an experienced workers' compensation attorney. It can be difficult to recover from a serious rotator cuff injury, and if you require surgery, it may be important to request vocational rehabilitation benefits so that you can start in a new line of work where you will not sustain the same injuries again. The attorneys of Pulgini & Norton represent workers in Hyde Park, Andover, and New Bedford. Call us at 781-843-2200 or contact us via our online form for a consultation.